The No Lather Shampoo Alternative is a unique all-in-one cleansing cream that replaces shampoo, conditioner, deep conditioner and detangler. Ideal for curly, natural hair. 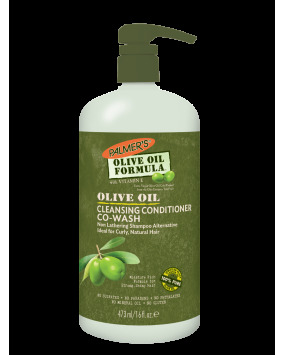 Wet hair and rinse thoroughly, then apply 12 to 20 pumps of Palmer's® Olive Oil Formula™ Co-Wash Cleansing Conditioner into your palms and rub together (20-40 pumps recommended for thicker/longer hair). 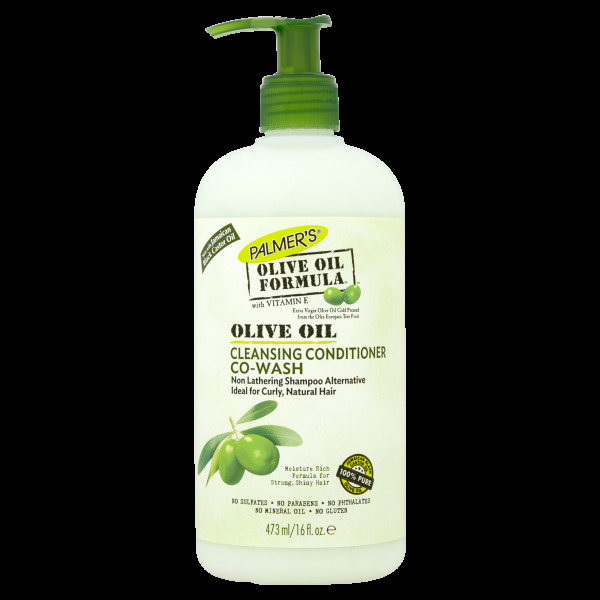 Apply directly to the scalp in sections and add a splash of water to emulsify product on your scalp. Since this product is free of sulphates, it will not lather. Massage thoroughly into hair, comb through and leave in for the duration of the shower (as long as possible) for maximum cleansing and conditioning. Rinse thoroughly while continuing to massage hair and scalp. 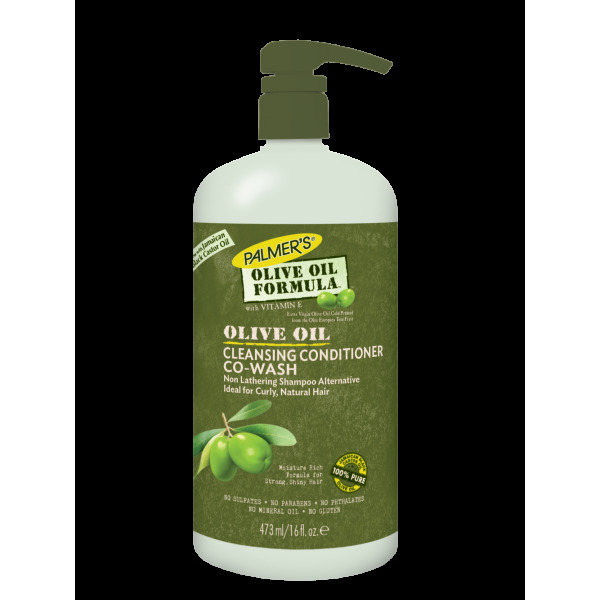 Can also be applied after cleansing as a leave in conditioner. Extra Virgin Olive Oil, Vitamin E, Jamaican Black Castor Oil, Keratin Protein, Sage, Nettle, Hyssop, Rosemary.